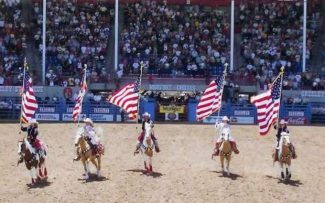 The Freedom Riders at the Greeley Stampede, 2005. Lee Barrett and her horse, Cash, at the Oklahoma World Championship Bull Fights in Ada, Okla. 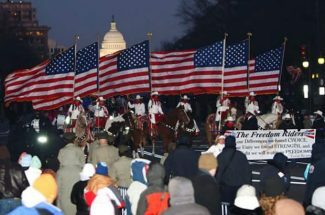 The Freedom Riders at the 2009 presidential inauguration. Photo courtesy of http://thefreedomriders.me/index.htm. The Freedom Riders need to raise about $8,000 to fund their trip to Washington, D.C. To help their cause, call Tami Inskeep at (970) 673-3360.
and she will spend another there Jan. 20. 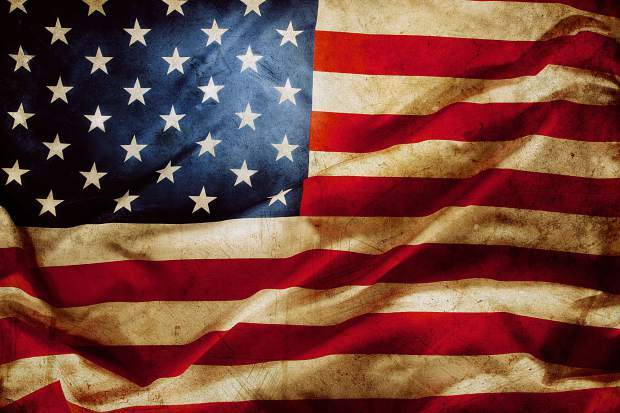 Barrett is one of the founding members of the Freedom Riders, a horseback riding group that consists of six women — five from Weld County — who present the American flag in ceremonies at events across the nation. 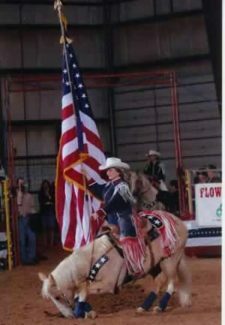 In the group's more than 15 years together, its members have carried American flags at state fairs, rodeos and ceremonies stretching from Oklahoma to Iowa and Wyoming. 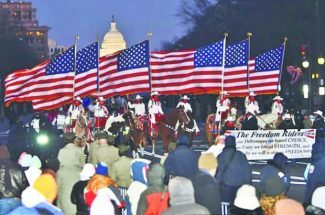 In 2005, they traveled even further, to Washington, D.C., and carried flags in the parade at George W. Bush's inauguration. They returned in 2009, for Barack Obama's inauguration. "A sea of people just surrounded us," Barrett said. "We would get up at 5 a.m., and the military would ride on our truck with us with their guns, to protect us and help part the way." Barrett said the team usually arrives at the parade staging area around 7:30 a.m., where they stand in the cold until the march down Pennsylvania Avenue begins in the afternoon. They are not allowed to leave the staging area because security is so tight, she said. The parade stretches 15 blocks through Washington, D.C., but for the Freedom Riders it will be the pinnacle of a three-day, 1,800-mile trip across the country. That journey began just after the presidential election in November, when the group applied to be in the parade. "It was a bit more complex than I was expecting," said Cheryl Lockhart, another of the Freedom Riders. "We had to say what exactly we were doing, and we had to pass a background and security check." The process wasn't new for the Freedom Riders, but security has only gotten tighter in the eight years since they were last in Washington, she said. They had to wait more than a month to hear back. "Now we have to haul two trucks and the trailers (to the Capitol)," said Tami Inskeep, another Freedom Rider. "It takes an army to put this together." 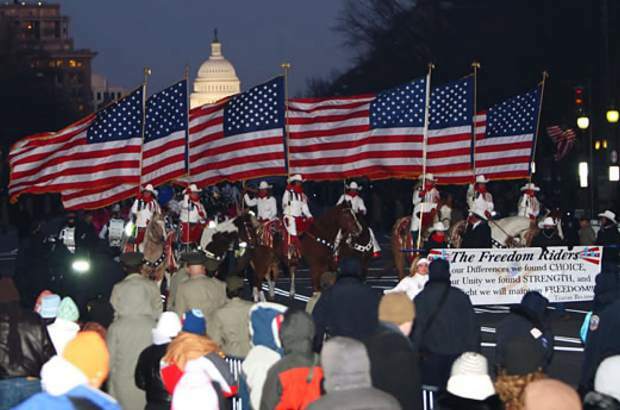 In addition to the riders, there are two drivers who coordinate the trek to Washington. There also are two "walkers," whose job it is to walk beside the horses in the parade in case of emergencies, as well as a banner carrier. For example, Teliah Barrett, Lee's daughter, is the group's youngest rider at 16, but this won't be her first trip to Washington. She was helping out long before she was riding in the ceremonies. 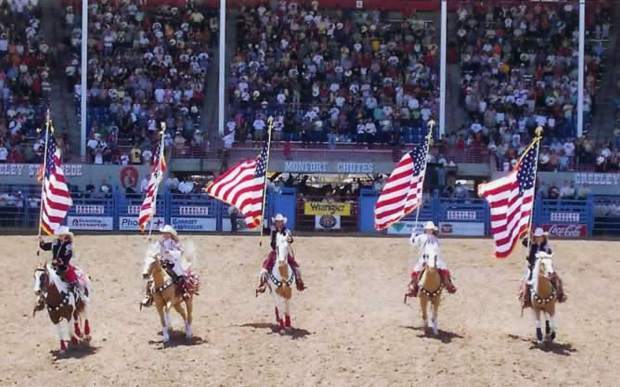 Lockhart said this year, the Riders' routine will feature one rider carrying a flag with the presidential seal, and five other riders following, carrying American flags. For her, riding with the group is a chance to be a part of something larger.